Tom Stolz (bottom right) worked as deputy county manager since 2017. Sedgwick County commissioners voted Wednesday to promote the interim county manager to the permanent role instead of opening the job to outside candidates. 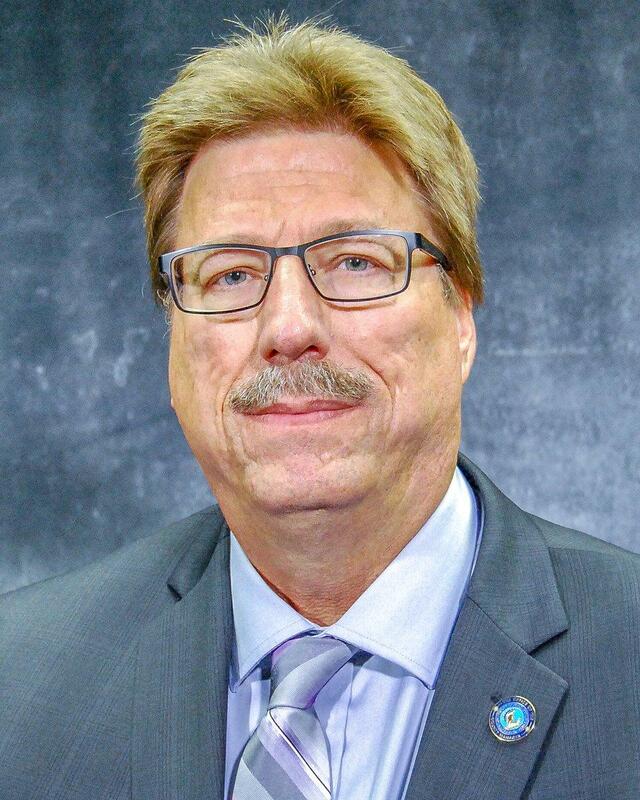 Tom Stolz became the acting county manager in December. He replaced Mike Scholes who reached a resignation settlement with the county amid legal turmoil. “Sedgwick County is fortunate that we have such a qualified internal candidate who has the right leadership, vision and commitment to our community,” says Commission Chairman David Dennis. The commissioners say hiring Stolz will bring stability to Sedgwick County, and save time and money that would have come with a search process. Commissioner Jim Howell supports Stolz’s promotion but would have preferred to have the county post the job. "To the extent that we would like to be open and fair and transparent, I have some concerns about just moving in this one direction," Howell says. The county manager is the highest non-elected position in Sedgwick County. Stolz was a top candidate during the search process in 2015 when commissioners hired Scholes. Stolz worked more than 30 years for the Wichita Police Department. After retiring in 2012, he became the first director of the Metropolitan Area Building and Construction Department, a joint department between the City of Wichita and Sedgwick County. He went on to work for Sedgwick County in several roles beginning in 2016. Sedgwick County’s manager resigned Wednesday morning, becoming the second county leader to exit this year amid legal turmoil. The Sedgwick County Commission and County Counselor Eric Yost formally agreed to part ways Monday. During a special meeting, commissioners approved an agreement with Yost to release him after 3 years in the role. Sedgwick County is moving forward with an investigation into its county commissioners. At the end of October, commissioners approved expanding an independent personnel investigation into commissioner conduct once the personnel review was completed. A report on the personnel investigation was presented to commissioners during a private meeting two weeks ago.